A selection of Roberto Rovira’s Ecological Atlas Project will be on exhibit at The Kampong, National Tropical Botanical Garden (4013 Douglas Rd, Miami, FL 33133). The exhibit is extended through Spring 2017 and shows seasonal diagrams of Florida wildflowers, birds, butterflies and fruit. 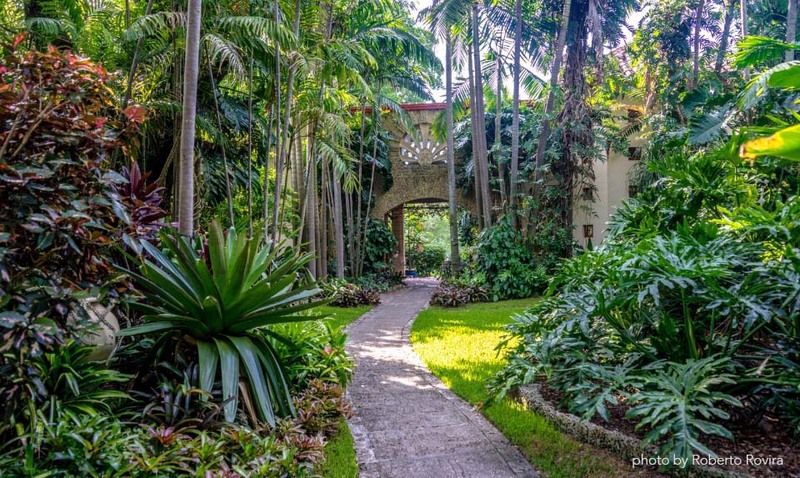 “Located on Biscayne Bay in Coconut Grove, Florida, The Kampong contains a fascinating array of tropical fruit cultivars and flowering trees. The garden is named for the Malay or Javanese word for a village or cluster of houses. Some of the first plantings there came from Indo-Malaysia, brought there by the renowned explorer/horticulturist David Fairchild who introduced these species to the United States and who owned the property in the early 1900s. The collections were expanded and diversified by the next owner, who eventually gifted the garden to the NTBG. Kampong Planting Heritage collections from Southeast Asia, Central and South Americas, the Caribbean, and other tropical locales create a cornucopia of exotic fruit, including candle fruit, peanut butter fruit, egg fruit, cocoplums, and over 50 varieties of mango. Numerous species of palms, cycads, and flowering trees are studied by scientists from the world over. The Kampong serves as the mainland campus for the NTBG’s educational courses, as a living classroom used by universities and colleges for botany and horticulture courses, and is a popular spot for plant enthusiasts of all ages. The National Tropical Botanical Garden (NTBG) is a not-for-profit institution, dedicated to discovering, saving, and studying the world’s tropical plants and to sharing what is learned. Roberto Rovira will be presenting “The Ecological Atlas Project: Building Ecological Literacy through Art, Science & Technology” at the 2016 American Public Garden Association Annual Conference as part of the Climate Change & Sustainability track, on Friday, 10JUN2016. The conference takes place 06-10JUN2016. On Thursday, April 20th, 2017, Roberto will be giving a lecture at the Kampong at 7pm, with a reception at 6:30pm preceding it.